Viscountess Bledisloe invites you to an evening reception and silent auction at Lydney Park Estate. 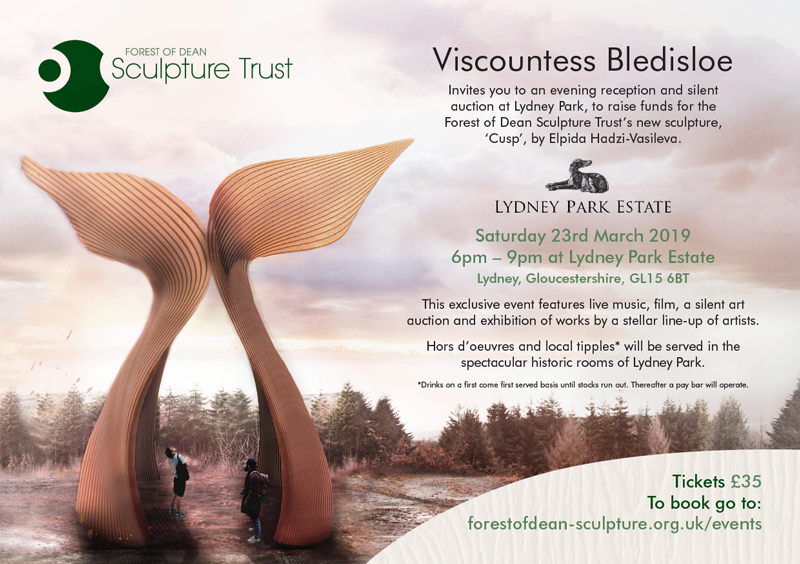 To raise funds for The Forest of Dean Sculpture Trust's new scultpture Cusp by Elpida Hadzi- Vasileva. This exclusive event features live music, film, a silent art auction and exhibition of works by a stellar line- up of artists. Hors d'oeuvres and local tipples will be served in the historic rooms of Lydney Park. Reception drink and Hors d'oeuvres included. Thereafter a pay bar will operate.